For a very long time, when it came to vintage timepieces for women, elegance and functionality were two polar opposites. Not many watch brands were able to combine the two, and even fewer considered women as a viable customer base. And this very fact alone is what drove longtime friends and former fashion buyers Lesa and Jemma on a path to create one of the most celebrated accessory brands for women. 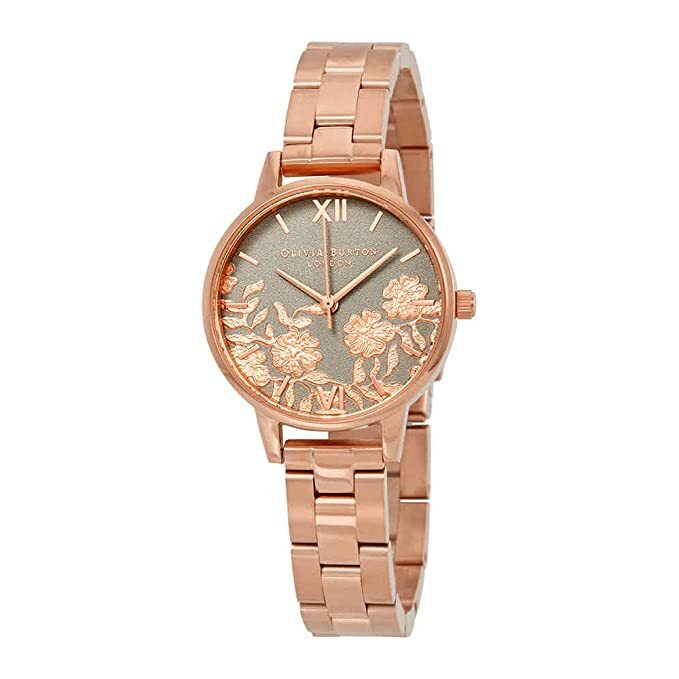 From supporting elegantly designed floral patterns to minimalist dials and numerals, the Olivia Burton timepieces didn’t take long to rise in popularity. So, if you’re in search of an elegant yet pocket-friendly watch to show-off to your friends and colleagues, then you have clicked on the right guide. Where do the Olivia Burton timepieces disappoint? 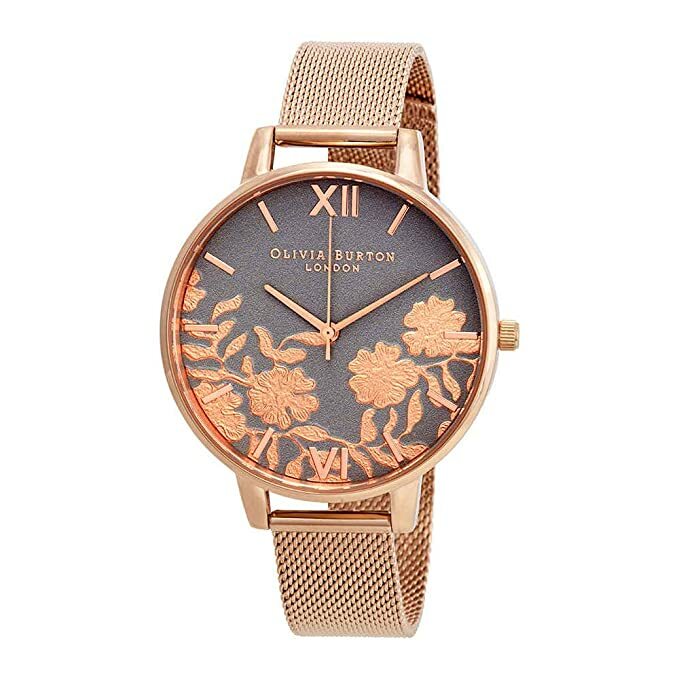 One of the most surprising facts about the brand Olivia Burton is that they are relatively new to the watch manufacturing scene. Considering their popularity in the current market, one would often feel that they have been around for years now. 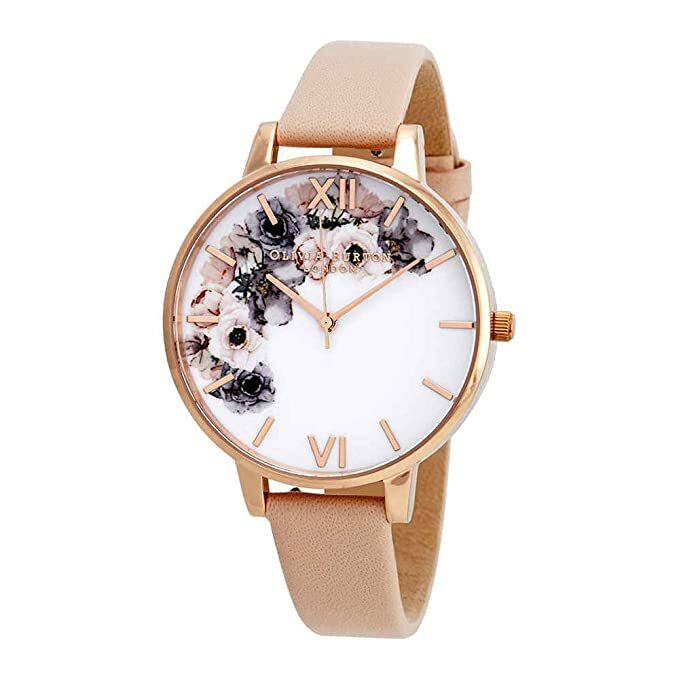 But the Olivia Burton range of watches has been leaving flowers, animals and whimsical prints in their wake for only 5 years. Their popularity reached its peak in 2016 when they received the much-coveted Buyer’s Choice Award at the Eve’s Watch Awards, along with nominations in other prestigious categories. But it’s not their popularity that impressed me the most; it’s the presence of the two women founders that have us completely hooked on the brand. Lesa Bennett and Jemma Fennings initially started their careers as fashion buy consultants before stamping their name in the watch manufacturing industry. Olivia Burton, the British accessory brand was founded by ex-fashion buyers Lesa and Jemma who were best friends ever since they first met at the London College of Fashion. They shared a passion for the vintage watch designs and dreamt of opening their own watch manufacturing business that modernized the traditional style one day. They wanted to create watches that everyone wanted to wear and show off in both casual and professional wear. During the brand’s formative years, one would often find them trawling through antique markets in search of the perfect timepiece. But the watches they found, though beautiful, lacked in functionality and broke down after a few months of use. This is what they sought to rectify in their watch range – to make models that boasted amazing detail along with manufacturing quality and durability. The brand was named after Lesa’s great aunt whose “spirited approach and energy was a huge inspiration to the girls”. They debuted their first collection in September 2012, and their covetable and collectible styles became an instant hit. Most of their watch and jewelry models are handmade at brand’s East London studio, where the founders personally work on their high-end pieces to bring the best to their fans and customers. 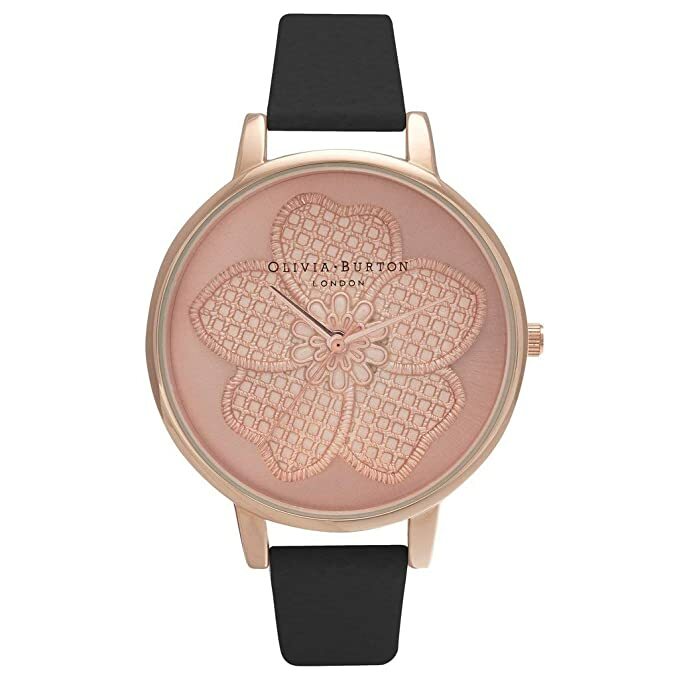 I researched a variety of model series from the Olivia Burton line up, out of which two were by far the most popular. 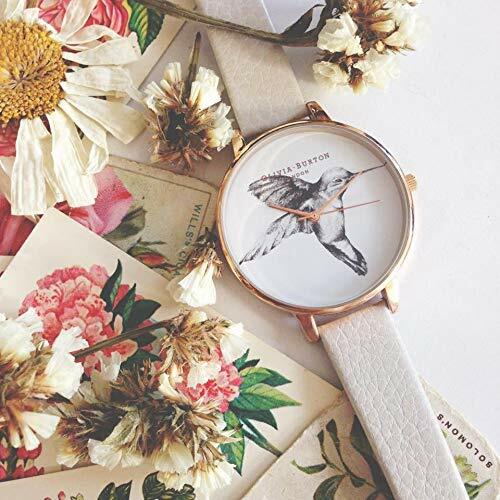 Even though for a design that stresses itself more on minimalist dials, Olivia Burton’s floral watches are indeed one of the most attractive in the market. 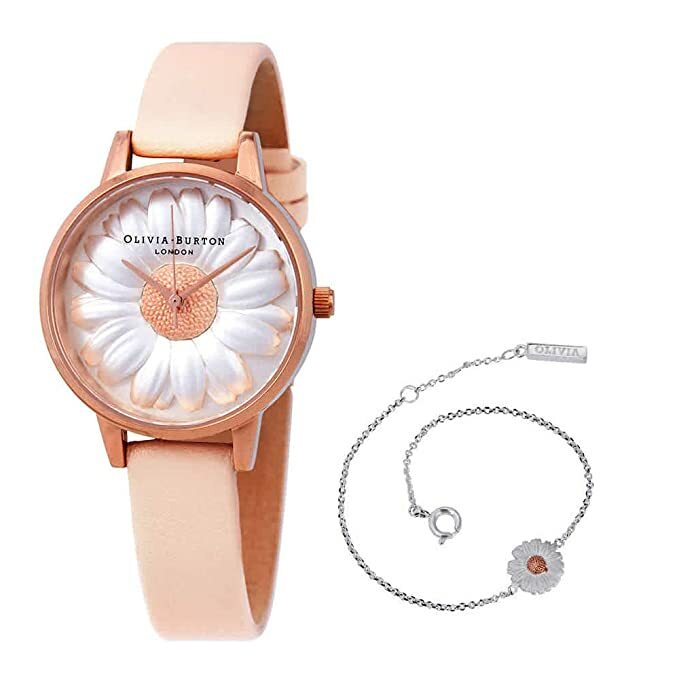 These timepieces are primarily nature inspired and are a part of their Enchanted Garden collection. One of their best features is design versatility; the soft purple hues of the dial are off-set by the “dark 38mm face and slim navy strap”, making them perfect for both professional and casual wear. They also have gold-plated casings that add a very luxurious feel to them. And if the casing feels too “out there” for you, then Olivia Burton also offers versions in much lighter colors, with softer details. This watch series is a part of their “vegan” collection, where the brand catered to the feedback from some of their biggest fans and gave some of their pieces a vegan look. They have taken some of the models and provided them with a silver case and an eco-friendly black leather strap. 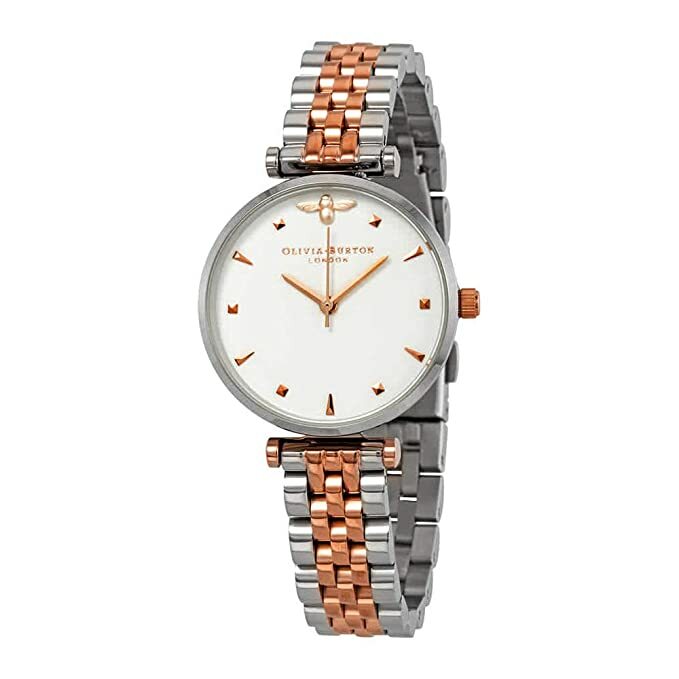 The Vegan Midi Hummingbird is in all respect a strikingly simple watch, which along with a silver-plated case comes with silvered hands, and a minimalist dial which is free of numerals or hour markings. 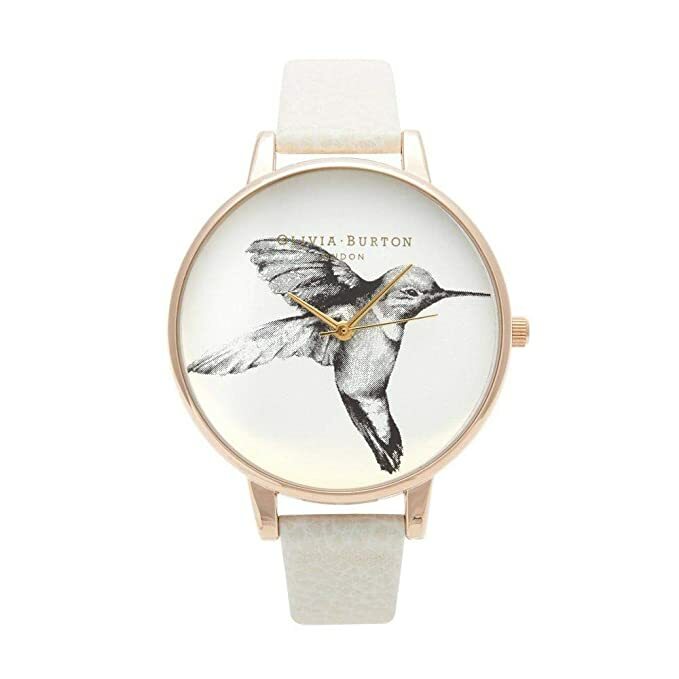 And the overall minimalist appeal is highlighted by the use of Olivia Burton’s signature hummingbird motif. And some customers might feel that this watch supports an overtly girly floral design, but let me assure you that it’s not the case. The monochrome hummingbird toes the line between femininity and artistic elegance, making the watch series perfect for women of any age. The hummingbird is also drawn in such a way that when looked at from an angle, it produces a three-dimensional effect. 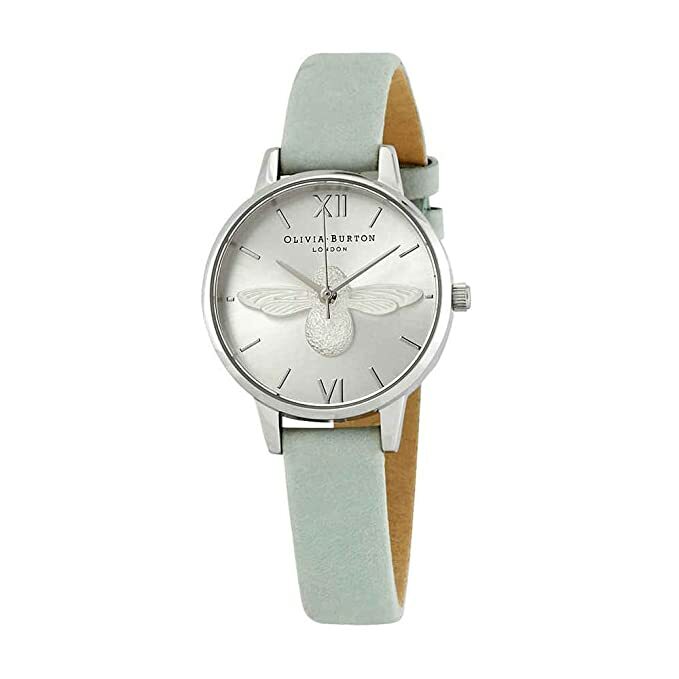 The Olivia Burton watches disappoint when it comes to the build durability, especially in their Women’s Enchanted Garden series. I noticed that most of their models are solely fashion timepieces which are not fit for everyday use. Regular wear and tear can cause the numeral markings to fall off and move around in the dial face which is somewhat annoying and inconvenient. The crystals in the Women’s Enchanted Garden series are vulnerable as well and prone to cracking even in the lightest of physical damages. Fashion brands come and go; while one is popular today, it may not be the case tomorrow. But when it comes to sporting fashionable accessories for women, I believe that Olivia Burton is here to stay for a very long time. Hope you enjoyed my Olivia Burton watches review today!